Arcadia Ales Brewing Company – Louis Glunz Beer Inc. 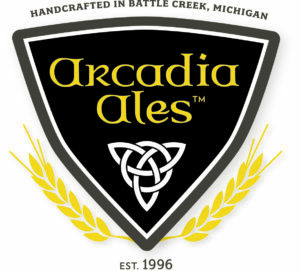 Established in 1996 in Battle Creek, Michigan, Arcadia Ales continues to carve out its niche in the craft beer community with world-class, medal-winning ales brewed with a British inspiration and American style. Our new riverfront brewery facility in Kalamazoo, Michigan continues our distinctive open top fermentation tradition and proprietary yeast strain. Celebrating our 20th anniversary we are continuing to produce British-inspired ales that are defined by this style of beer production, utilizing a cunningly simple machine that reflects over 250 years of world-class brewing heritage. This includes our IPA which won a Silver Medal at the 2015 Great American Beer Festival for Classic English Style Pale Ale.